In an industry as established and competitive as Scotch whisky, it’s something of a rare occurrence for producers to launch a completely new stand-alone brand. The sector’s much reported lack of old liquid also means producers often struggle to secure the necessary stocks for their existing portfolio, let alone launch an entirely new label. 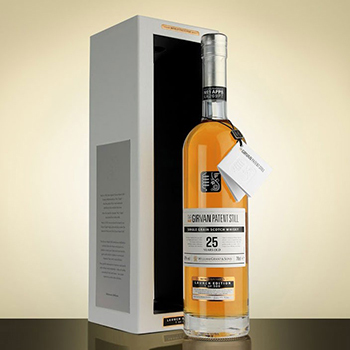 However, while some distillers continue to expand their portfolios with brand extensions, experimenting with age, oak and base ingredients, others have brought something completely new to the market. While Diageo recruited the world’s most famous footballer to launch what was quite possibly the most high profile new Scotch brand in recent history, William Grant & Sons pioneered the burgeoning grain category. Some bottlers and blenders unveiled new labels, while new distillers sourced aged third party liquid for their inaugural bottlings. The recent surge in planned or recently constructed distilleries, however, means the market will most likely see an extensive new hoard of brands launched in the years to come. Click through the following pages to discover our pick of the top 10 new Scotch whisky brands launched over the past two years. If you think any essential choices have been missed off this list, let us know by leaving a comment below. I launched the St Andrews Whisky Company range of whiskies in mid July. After seeing many companies trading on the St Andrews town name, even if there link is at best tenuous, I thought I should stop moaning about it and actually do something. I have been in whisky and wine retail for 15 years and wanted my brand to totally focus on taste and value for money, so I will source whiskies from anywhere. Some will be larger releases, some single casks or part of casks. Others may be available under different branding or may be blends – there are no rules as to where the whisky comes from, as long as it tastes good and offers value for money. Some of the names leave a lot to be desired. Prometheus? The Darkness? Poor show. Doesn’t yell out Scottish identity to me.